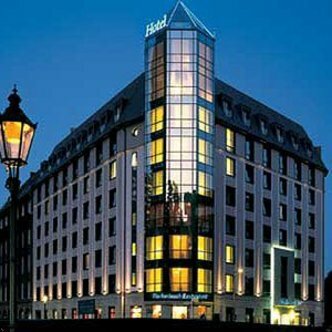 The DERAG HOTEL AND LIVING Hotel Grosser Kurfuerst is a 4 star hotel located in Berlins historical center and directly on the banks of the river Spree. Whether you stay for just one day, two weeks or one month, we have tailor made solutions. Choose between a hotel room, fully equipped apartments up to spacious suites. For our long stay guests we offer laundry facilities with washing machines and driers. For your recreation you find a fitness centre with sauna, steam bath, solarium and work out machines. Enjoy the local specialities in our restaurant or have a drink at the hotel bar. Our conference guests find 4 modern equipped meeting rooms. For all guests arriving by car our hotel garage is at your disposal.